Cache point is in the Nagawado dam that exists most in the upstreams in one of the Azusagawa 3 dams. Construction was begun as for three dams of Nagawado, Midono, and Inekoki that had been planned in 1955 in 1961. Three dams it was accident construction that 99 people died in 1969 though completed. The most seems to be the dead related to the Nagawado dam. Still, the memorial cenotaph remains in the vicinity of the dam. In the dam of the arch principle, both Nagawado dams are large especially arch-type dams in third in Japan. The amount of storing water of Azusa-ko lake that the dam saves seems to be almost a volume of water twice the Suwa lake. Water is used also for the irrigation rainwater in the downstream at the hometown etc. Moreover, it is only here also in Japan that three arch-type dams are in the same river. The Hwy-158 starts in the Nagawado dam. 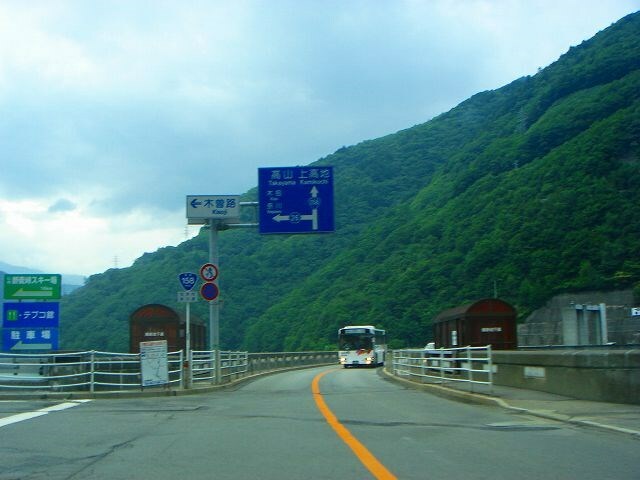 It is necessary to pass here to go to Takayama and Kamikochi. Because it is a place that has a lot of traffic, cache has lowered the difficulty. It is likely to be able to discover it soon. Moreover, the spectacle in the arch-type dam will be able to be looked at at the same time as discovering it. ++Spoiler?++You can find "cache point" from this photograph.